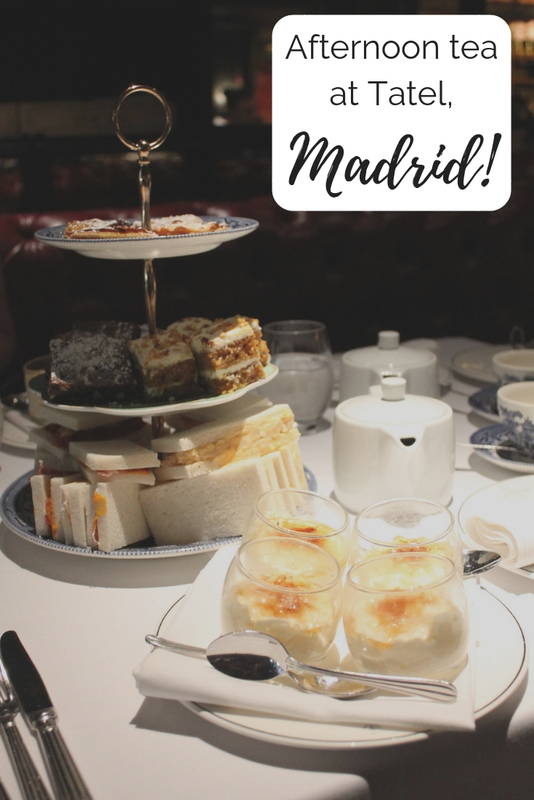 When searching for an afternoon tea in Madrid I had a bit of a struggle. It would appear the city isn’t big into traditional afternoon teas and very few hotels and restaurants offer it. 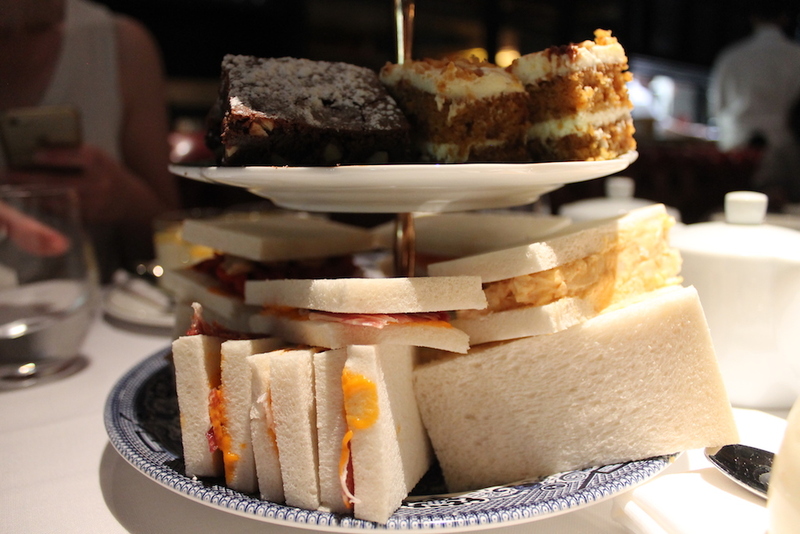 Instead I could only find informal ‘tea and cake’ menus rather that a classic three-tier tray affair. 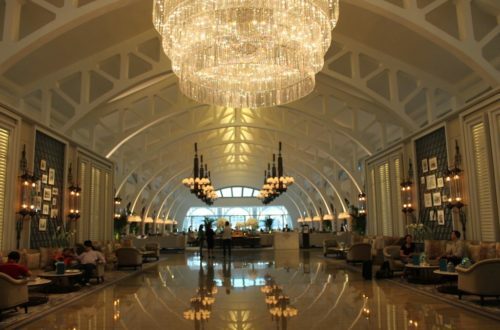 There was one place that came up time and again during my research though; Hotel Ritz. Sadly though a trip here just wasn’t meant to be, as it’s currently closed for renovation and not due to reopen until late in 2019. 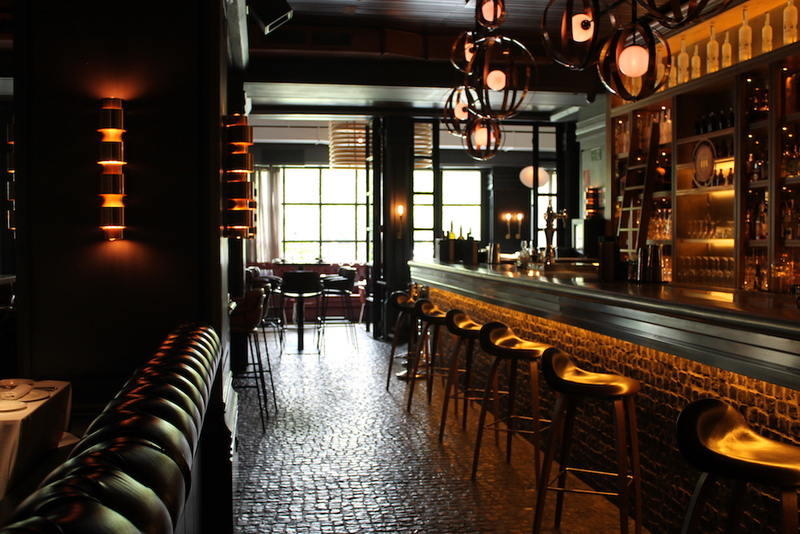 So my hunt continued and I managed to find one other place that appeared to offer afternoon tea – Tatel. 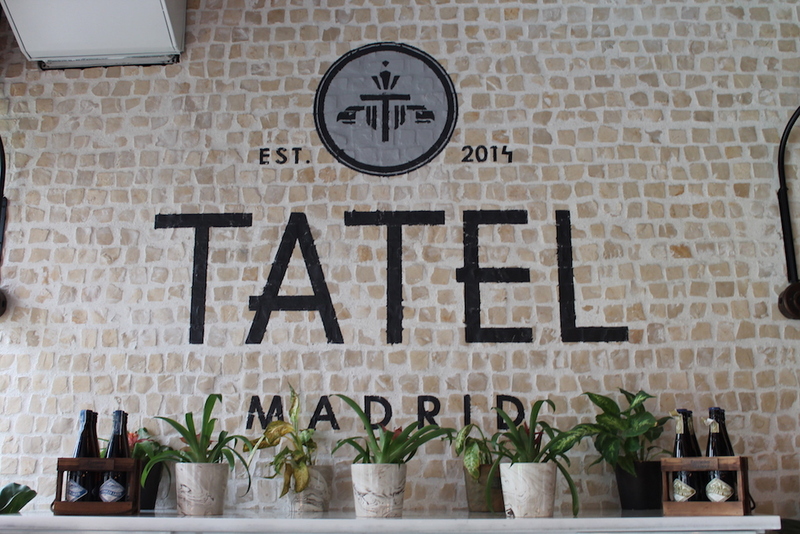 I’d not heard of Tatel before, but I discovered that it’s a high-end restaurant owned by no other than tennis star Rafa Nadal, football’s Cristiano Ronaldo and music man Enrique Iglesias. Intrigued, I decided this would be a unique stop on my Global Afternoon Tea Challenge! 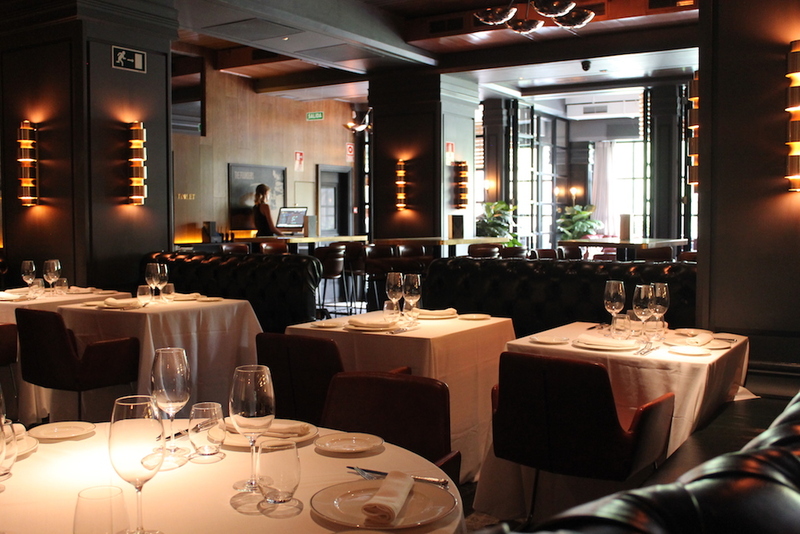 Tatel Madrid can be found on the Paseo de la Castellana, one of the city’s main roads, which is home to many modern high-rise buildings. It has an unassuming front, hidden away at the bottom of what looks like a large office block or hotel! Venturing inside, it’s design is all modern and all black, meaning it took a while for my eyes to readjust from the bright August sunshine outside (is visiting Madrid in the height of summer a good idea? Find out in an upcoming post!). At first there was some confusion regarding our booking which was made tougher to sort out due to our (very) basic Spanish and the staff’s broken English. It seems the days had got mixed up, and we were nearly turned away as afternoon tea is only available when requested 24 hours in advance. However one of the waiters went off to the kitchen to see what was possible and after a short wait said that yes, they were able to accommodate us – yay! Seated towards the back of the restaurant on comfy leather seats we had a great view of the other guests and couldn’t help but partake in a bit of star spotting. Sadly we didn’t see any of the owners or recognise any other famous faces, but we did have a good giggle trying to decide whether one rather tall man could possibly be a famous basketball star. 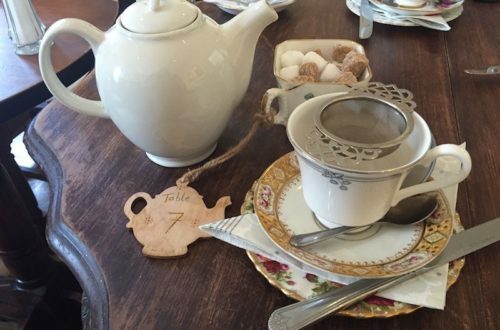 The afternoon tea here is know as T by Tatel and there’s a variety of options to pick from – classic afternoon tea, champagne afternoon tea, or simply picking the dessert items you want separately off the menu. Unfortunately, as they weren’t expecting us that day, the waiters only had a Spanish afternoon tea menu, so we weren’t 100% sure what we’d be getting until the food turned up. Thankfully though, our broken-English speaking waiter gave us a basic run through of what each item was before we dived in. Our sandwich selection had a slightly Spanish twist, as you might expect, and we were not disappointed. My favourites were the Iberico ham and tomato sandwich, which had a delicious hint of garlic, and the potato and seafood mayonnaise. Now I’d normally turn up my nose at anything with mayonnaise but I wanted to try everything and I’m so glad I did! This may sound odd, but it reminded me of the salmon spread I would have in my sandwiches as a kid, and it was delicious! The smoked salmon and crème cheese sandwich was also enjoyable, but the only thing that I felt didn’t tantalise my taste buds was the tuna and red pepper sarnie. However, I think that just came down to personal taste. At first I was a bit disappointed that the afternoon tea didn’t come with scones, but we weren’t in anyway shortchanged on the sweet front. 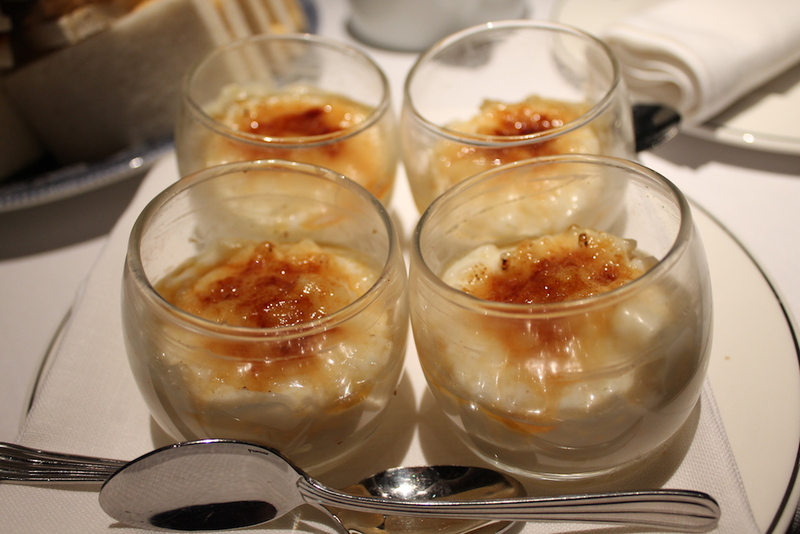 Instead of scones we got a larger selection of desserts, made up of carrot cake, apple tartlets, a ganache of white chocolate and yogurt with passion fruit, brownies and an Asturias-style rice pudding. I love rice pudding but sadly this cold version wasn’t to my liking, and the ganache basically tasted like vanilla yoghurt with a little fresh passionfruit on top. To be fair it was more M&S yoghurt than Sainsbury’s though. At the other end of the scale however, were the wonderful baked goods. The apple tart was light and flaky whilst not too sweet, and the carrot cake may have been the best I ever tasted. It was moist, full of flavour (with a hint of cinnamon) and topped with super creamy frosting. The piece de resistance though, had to be the perfectly baked chocolate brownies. I was in brownie heaven and I may have surreptitiously snaffled Justin’s while he wasn’t looking (I’m not totally evil though, he’s just not a cake guy!). They had a gorgeously crisp top and that perfect strip of gooeyness running through their middle. That, added to the occasional crunch of the nuts, made them the perfect mix of textures. 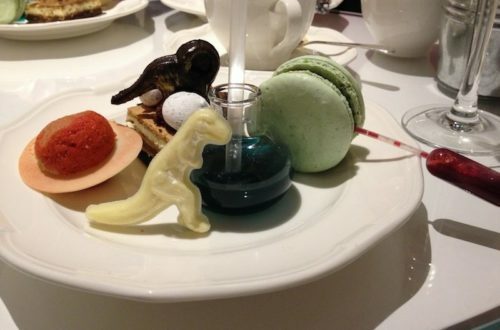 Tatel’s all about style, but happily I can say its afternoon tea offering had substance. The food was fresh and tasty, with interesting flavours I’d not experienced before from an afternoon tea. Some worked, some didn’t, but I applaud them for trying. The setting was something in itself, very swish, but it was a bit too dark for my liking – forget mood lighting, this was closer to ‘power cut’! We felt a bit underdressed and made a bit of an arse of ourselves trying to work out how to open the door to the bathroom (they slide, pushing doesn’t work! ), but even so the staff were welcoming, friendly and happy to answer our questions. Tatel is obviously a high-end establishment, but even so, in terms of Europe its afternoon tea price of €22 (without champagne, €28 with) isn’t too bad at all. I’d like to compare it to Hotel Ritz when it finally reopens (any excuse for a return trip to Madrid!) 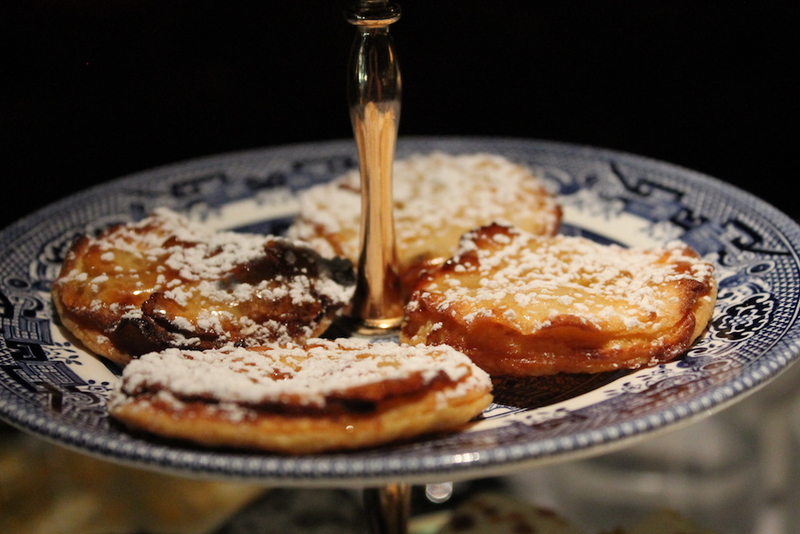 but in the meantime I’d definitely recommend it as a great destination for afternoon tea when in Madrid! 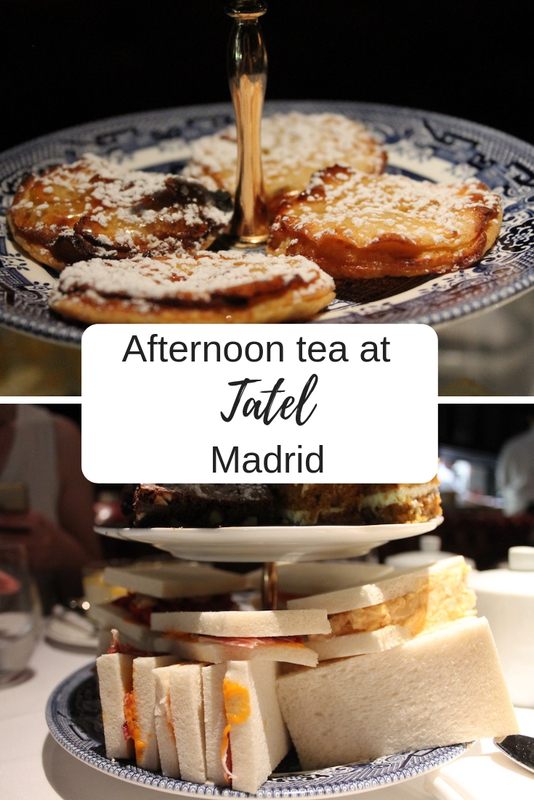 The T by Tatel afternoon tea in Madrid costs €22, or €28 with a glass of champagne. Separate desserts are available to buy at between €8-12 each. Yeah it can add up a little if you have champers. If that’s your thing its a good idea to look out for bottomless afternoon teas! I would agree that the style looks more appealing than the food. But I could relax in those comfy red leather seats and enjoy myself for sure! To be fair the food was nice, just some more than others! 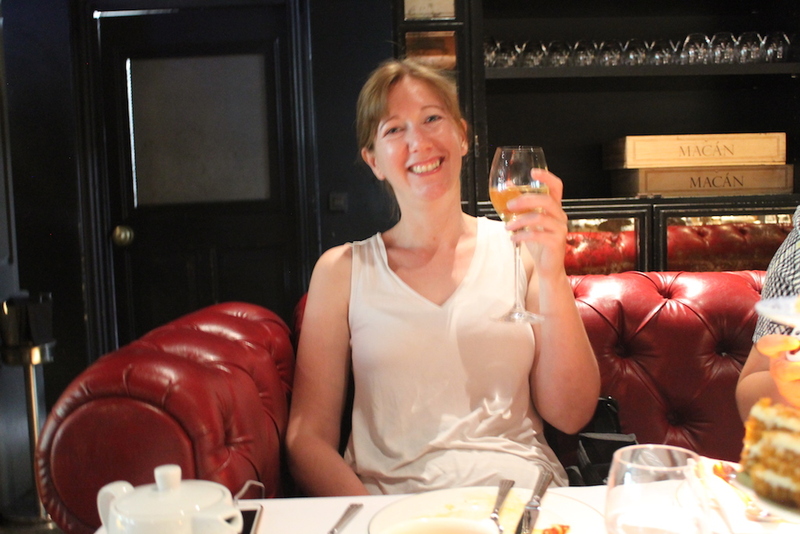 It’s interesting – I always think of Afternoon tea is a peculiarly British thing! It does look like an impressive setting – but perhaps not the setting for tea as we know it!